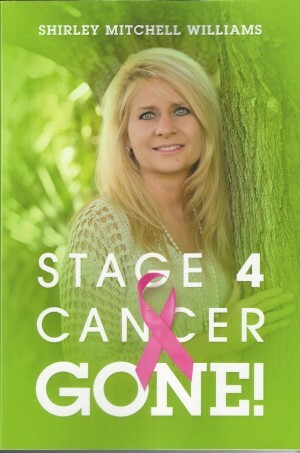 This is a true account of a medically documented healing miracle of a woman diagnosed with Stage IV breast cancer that had metastasized into her bones, organs and lymph nodes. Given anywhere from three weeks to ninety days to live, through her faith, she was able to find healing without chemotherapy, radiation or surgery. Years later, Shirley is still living free from all cancer and is totally restored. The promises found in the Word of God are for all those who believe upon Jesus as their Lord - no matter what they have done in the past, whether they have served God all of their life or just cried out to Jesus to save them today. All provision for all our needs, including healing, is available to whosoever will dare to believe God. As you read this book of her healing journey, Shirley's prayer is that you will receive personal insight and reach out to take what has been made available through Jesus Christ, the Lord! Shirley Williams is married to Mark Williams; together, they pastor Grace Christian Fellowship in Alpine, Texas. She has worn many hats over the years, including EMS director, judge, IRS Enrolled Agent, business owner, coroner, evangelist, wife, mother, grandmother and friend. Shirley and her husband, Mark, have three children and two grandchildren. Shirley and Mark, along with their son Vaughn, reside in Marathon, Texas.